As most people know, the great state of Washington decided last fall that it was a good idea to allow its citizenry to not only possess marijuana, but also grow it. While the law established control mechanisms, the legal action seems to have ‘softened’ the position of some law enforcement officials as well as the general population. 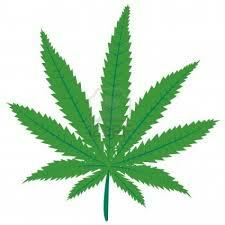 As a result, there is a growing (no pun intended) tolerance and acceptance towards indoor cultivation of marijuana. This social shift could place increasing burden on landlords and property managers coping from the residual effects of an indoor pot-growing operation. To wit, we just toured a Federal Way, WA home where the previous tenant had an illegal operation going on. He was growing it in both the garage and the two bedrooms. The amount of mold present in the house was as great as we have ever seen! Mold is already a HUGE problem in the Pacific Northwest. For residential occupants to add large amounts of moisture and heat to their homes for their pot-growing operation threatens to completely destroy entire homes. For this Federal Way home, entire walls will need to be dismantled. The kitchen and bathroom are a total loss. The garage has so much mold and moisture that some of the framing was compromised. The extent of damage from the mold and moisture is unlike anything we have ever seen before. Sure, tenants forget to use the bathroom fan and some mold starts to grow on the ceiling. That is nothing compared to this! Landlords – inspect your properties regularly. Have a ‘no cultivation’ clause in your lease. Enforce it! Peter Nelson is a clean and sober President of Full Service Property Management. Full Service PM offers landlords of homes, condos, apartments, and HOAs in the greater Seattle area a full suite of management, maintenance and construction services. They may be found at www.fullservicepm.com.